Yokohama is a city in Kanagawa prefecture. They opened the port to foreign countries 150 years ago, and quickly adopted Western culture to the development. It is convenient to go to Yokohama from Tokyo. If you take a direct Tokyu-toyoko Line train from Shibuya, it takes only 40 minutes to get to Yokohama. 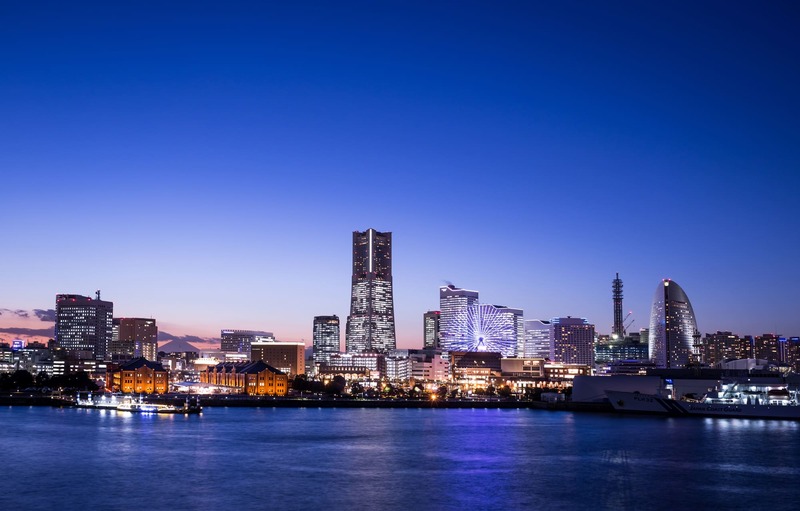 Because there are many places worth visiting, let’s add Yokohama to your list”! In this article we will show you Yamashita-koen Park Area that commands beautiful view of sea and flowers of the seasons. 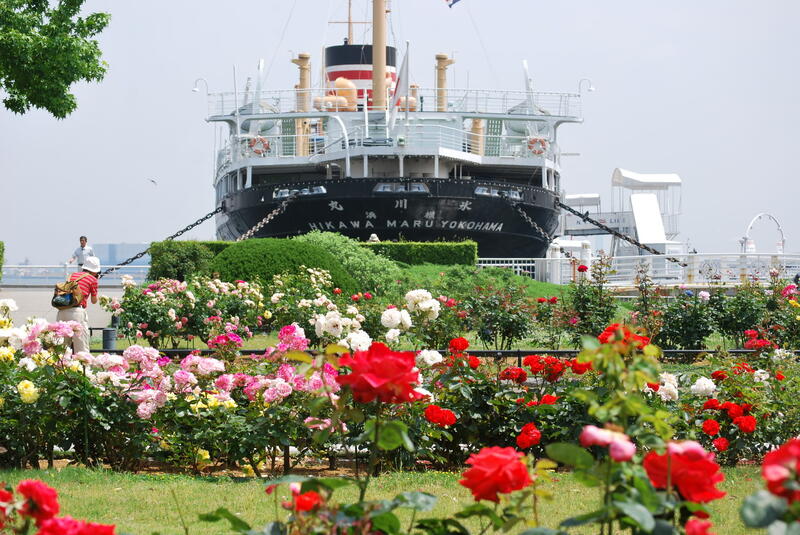 ≫You can also see the information about touristic places in Yokohama at “5 Touristic Places to Visit in Yokohama”. Yamashita-koen Park was opened in 1930. This is a park made with debris of Great Kanto earthquake of 1945. This park is popular not only for local people but also tourists for the scenery of the sea and the many flowers and nature of the seasons. From the park you can see Bay Bridge. Especially the night view is romantic. There are scattered monuments with some information about the history of Yokohama. And also there is a rose garden with about 190 species of rose. How about sit on a bench and spend relaxing time seeing fantastic view of Yokohama? One of the highlights of Yamashita-koen Park is the Rose Garden with about 190 species of rose. In 1930’s, roses were sent from Seattle, US. Then local people happily planted the roses. When they celebrate the 150th anniversary since Yokohama port was opened, a new rose named “Hamamirai” was specially made. Of course you can see the Yokohama local rose “Hamamirai” here. 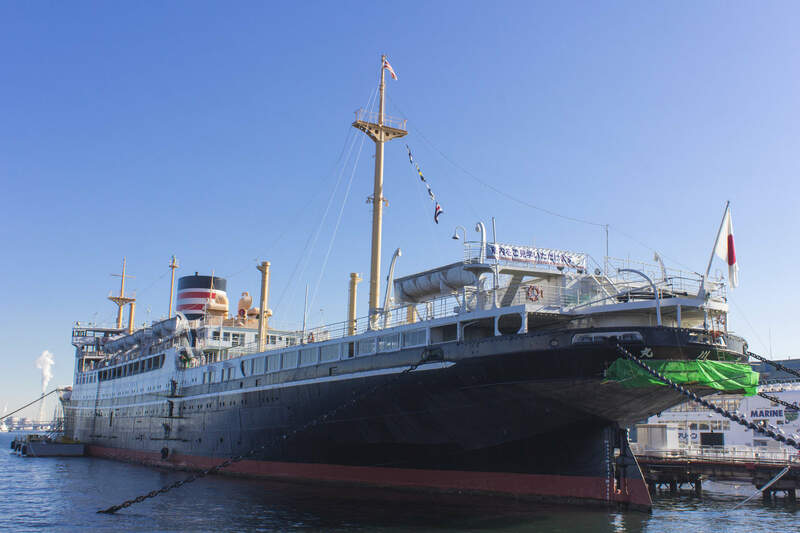 Hikawa-maru is a rapid cargo and passenger ship that used to be put into service between Japan to Seattle through the Pacific Ocean. This ship was designated as an important cultural property in 2016. Now that the ship is no longer in service, it’s at its mooring at Yamashita-koen Park. You can see inside the ship and the exhibition about the history. The promenade deck commands nice view of Yokohama Bay. It was opened in 1961 to celebrate 100th anniversary of the opening of Yokohama Port. It was renewed in 2009. The full length is 106 meters. From the lookout point at a height of 91 meters, you can see panorama view of Yokohama. Especially the night view is so romantic. There are restaurants, bars, hall and shops inside the tower. After the opening of Yokohama Port to foreign countries, many foreigners have come to Yokohama and the Yokohama city itself has also been adopted various Western cultures. In Kannai area there are many historical buildings that still has the atmosphere of those days. 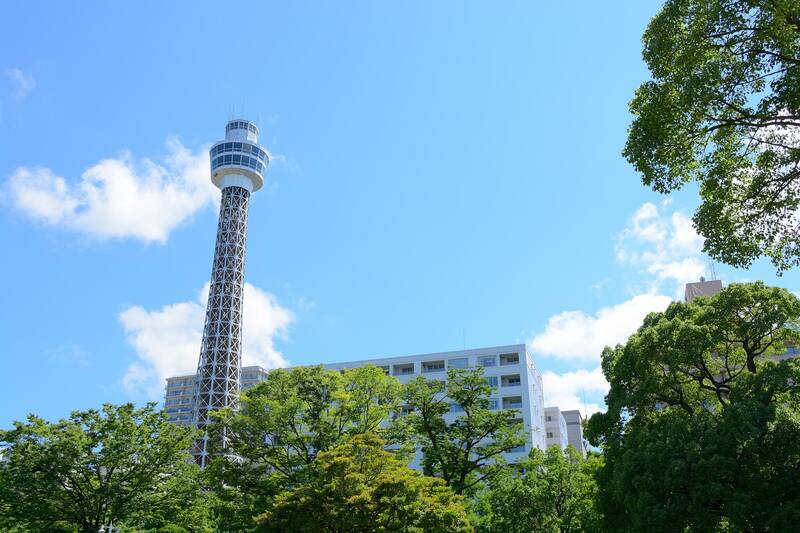 In Yamashita-koen Park area, you can enjoy at Rose Park or see good view of the sea. In Minatomirai area, there are many sophisticated fashion shops. In China Town area, you can enjoy an exotic atmosphere and good Chinese food. Let’s go to Yokohama and see how the Western culture, Chinese culture and Japanese culture are well mixed uniquely here. Take a Keihin-tohoku line train and get off at “Kannai Station”, then go on foot. It takes about 45 minutes. Take a Tokyu-toyoko line train and get off at “Yokohama Station”. It takes about 45 minutes. Take Keikyu-kukou Line and get off at “Keikyu-kamata Station” then transfer to Keikyu-honsen line and get off at “Yokohama Station”. It takes about 30 minutes. 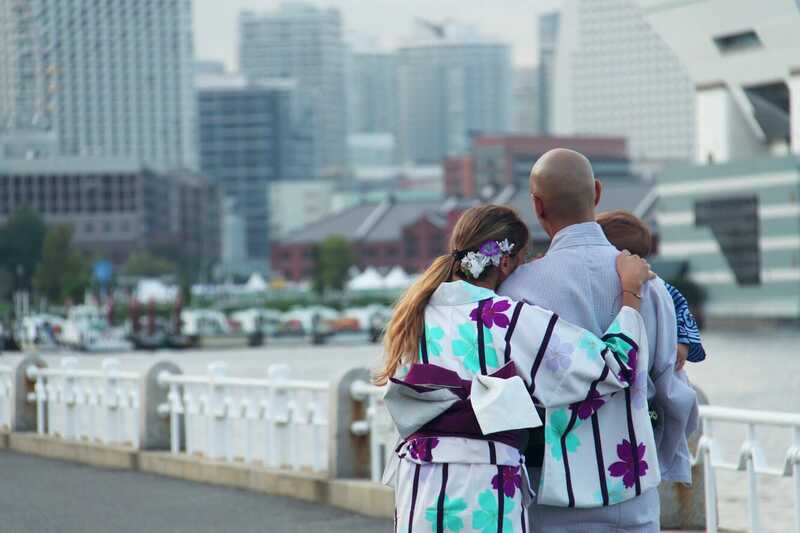 Let’s participate in a walking tour with Kimono on at several touristic places in Yokohama! You can choose your favorite Kimono and they put them on you. A guide will introduce you to some touristic places! 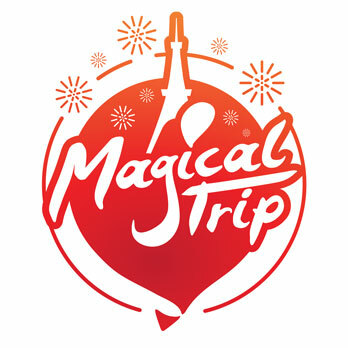 Let’s make good memories in Japan at the port and garden!